The Hanover experience is synonymous with a higher level of quality and options, and for our South Denver and Platt Park residents, this continues to be our mission. We provide luxurious features and amenities that come standard for all floor plans. Hanover Platt Park features upscale apartments furnished with top-of-the-market decor. Sporting a lavish mix of accented color walls inside while drawing in the local neighborhood with spacious windows that overlook the neighborhood, visualize living a modern style that brings the city to your doorstep. All kitchens come standard with granite countertops, stainless steel appliances, and a sharp visual contrast of tile and wood. Bathrooms provide the same level of detail and comfort, with porcelain tile and semi-frameless shower glass enclosures. Our attention to quality continues outside of your home, with resort-style swimming pools with cabana seating joined with an outdoor firepit area that serves the year-round climate needs of the Mile High City. All residents and their guests have exclusive access to our premier fitness and business clubhouse, boasting a cinema with stadium seating. Residents will receive parking stickers and access devices upon moving in should they elect to purchase a parking permit. Apartment homes at Hanover Platt Park do not include parking. Each vehicle must be registered with management and will be responsible for a monthly fee. Stickers must be displayed and visible in the back driver side window of the vehicle registered with management. A $50.00 replacement fee will apply if sticker or access devices are damaged, lost, stolen or unreturned. Vehicles may not park in no-parking zones or obstruct any pedestrian path or drive path. Vehicles parked in the community must be in accordance with state regulations, in good conditional and operable order or will be subject to tow at the owner's expense. Boats, recreational vehicles, campers and trailers are not permitted in the parking garage. Motorcycles should be parked in the garage in parking spaces only and will be subject to the same fees as a two-axle vehicle. Pods or other forms of mobile storage are not allowed on the community. For a complete description of Hanover Platt Park's guest parking policy, please contact the Leasing Office. Open-concept gourmet kitchens with stainless steel appliances, granite slab countertops, stone-tile backsplash, custom cabinetry and large islands provide the setting for your private gatherings. All of this, and more.  Experience the finest apartment living experience in South Denver at Hanover Platt Park.